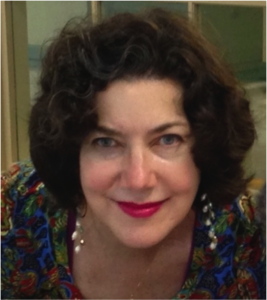 Shelley Benaroya is a published writer and poet who has taught creative writing and composition for more than 20 years. As a teaching artist, certified English teacher, and college instructor, she has helped students—young and old—discover the poet, the storyteller, within. Among her awards are poetry and teaching fellowships from the New Jersey State Council on the Arts and the Geraldine R. Dodge Foundation. 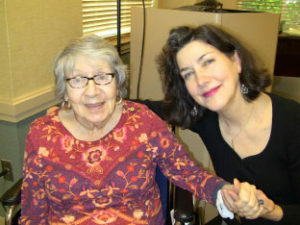 Shelley is a National Center for Creative Aging-trained teaching artist. 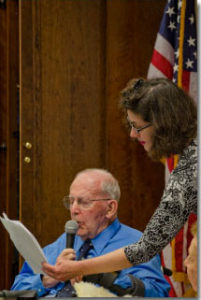 In 2012, she was one of a dozen tri-state teaching artists selected to complete NCCA’s “Arts & Aging Core Training” held at the Arts Council of Princeton. Her awards include poetry and teaching fellowships from the New Jersey State Council on the Arts and the Geraldine R. Dodge Foundation. Her work has appeared in All the Sins, Diner, The Edison Literary Review, Ekphrasis, The Ekphrastic Review, Journal of the British Interplanetary Society, The Lyric, Mad Poets Review, Mobius, The Road Not Taken, Thirteenth Moon, U.S. I Worksheets, and elsewhere. In 2017, she received the Ekphrasis Prize and a Pushcart Prize nomination. In addition to her role at the Writing Center for Creative Aging, Shelley has—since 2000—been an artist-in-education for the New Jersey Writers Project, sponsored by the New Jersey State Council on the Arts and Writers Theatre of New Jersey. She joined the roster of teaching artists at NJPAC in 2005. She has worked as an arts education administrator, writer, editor, and public relations executive for such companies as the AIE Consortium, CES Publishing, Simon & Shuster, Highgate Pictures, The Rowland Company, and NBC News.